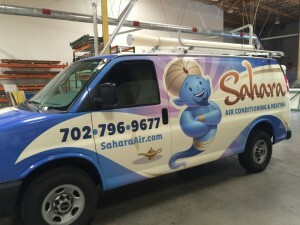 Sahara Air Conditioning & Heating, Inc. provides our customers with efficient and professional heating services they can rely on. We have established a reputation for being a leader in quality HVAC service for your home or business for over 30 years. Your furnace, heat pump, and heating system all need regular maintenance to ensure that you get the top performance and longest life from your system – so call Sahara Air Conditioning & Heating today. Our heating contractors are all up-to-date with their certifications and are highly trained in all the latest technological advances in the HVAC industry. We believe that your heating system should provide you and your family with lasting comfort for your inside environment. Why Hire Us for Heating Maintenance & Repair? Our HVAC service department services all brands of central heating and air conditioning equipment. Our NATE certified technicians come with equipped vans that have replacement parts and filters to meet all your needs. We design and install any type of heating or cooling system. We also provide you with a cost & benefit comparison analysis of each manufacturer so you can make the most informed decisions on which systems best fit your needs.